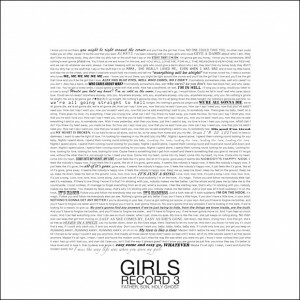 Despite its lofty title, the second studio album by Girls (two boys in fact) is a great treat for a lazy Sunday noon. Girls’ formula is plain simple (guitar, percussion and organ) and their assumption to reach for the spirit of the ’60s and ’70s is not especially original. However, these 11 songs are executed so incredibly and at ease that it seems impossible not to surrender to their charm. There are no low points here so it is rather hard to find the true standouts. But if I found myself in life-threatening circumstances, I would tell you to listen to My Ma, a sweet and mellow son-to-mother gospel-like ode, and Die, a hard rock track with surprisingly soft and folk ending, in the first place. Vomit may have a disgusting title but you don’t judge the book by its cover. Hear us, O God, Our Savior, as we honor St. Dymphna, patron of those afflicted with mental and emotional illness. Help us to be inspired by her example and comforted by her merciful help. Amen. 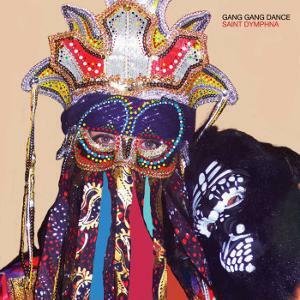 I wonder whether Gang Gang Dance prayed to Saint Dymphna during the recording of their brilliant album number 4. It is named after an Irish girl who was supposedly killed by her own father for her refusal to marry him after her mother’s death. The poor child was fourteen. I am not implying that the band should have done that but according to pop music standards they could be taken for oddballs. Their approach towards sound is highly creative and original yet they end up with something irresistible as incoming tornado. GGD are a force out of this world, you’d rather expect them to appear in a work by Lewis Carroll. Dymphna starts strong with an instrumental track called Bebey, a cascade of electronic and beating noises, and smoothly turns into First Communion. It is one of three awesome songs on the album. Liz rocks as well the others to create a whriling cult hymn of the future. The one in which half-naked people dance around a robot statue and beg for new genetic improvements. On crazy Princes Liz shares the mike with Tinchy Stryder, a genre-hopping Briton. Their blend of hip-hop and electroclash is nervous, exhausting and, of course, fantastic. Finally, you’ve got House Jam. It is a crystal of a song which reflects the melancholy tremendously delivered by Liz, a place in space and time where catchiness and strangeness merge and the most beautiful flower of them all blooms in full. These guys must have listened to Kate Bush and Peter Gabriel a lot. Learn to Learn sounds like a b-side or a demo from The Dreaming thanks to some thundering drums that play the lead part. 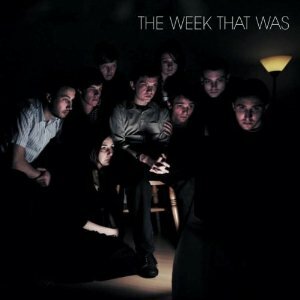 The Week That Was make sophisticated pop, equally good for brain and soul. What I mean is they are very British. The LP consists of just 8 songs yet there is plenty to absorb. The mentioned track is radical and the band do everything to keep up the good work. On The Good Life they create a fantastic atmosphere by synth line and… cowbells. Does this eccentricity sound familiar? The vibraphone on It’s All Gone Quiet astonishes as well. Come Home is a beautiful ballad on which an angelic female choir joins the male singer as the track begins to fade. The pace rises again on the closing Scratch the Surface. The Week That Was show only one facet of the British music’s spectrum and they make it with wit and charm. Now, this is my favourite album by The White Stripes. It has the harshness of Elephant but is also lovely in its oddness. The cover image showing Jack and Meg as Pearly King and Queen and the title (the correct spelling is “ecky thump” though) suggest this might be their “English” album. Indeed, you’ve got bagpipes on two songs (including Meg’s St. Andrew) but the opening Icky Thump deals with the immigration policy in the US: White Americans / What? Nothin’ better to do? / Why don’t you kick yourself out / You’re an immigrant too / Who’s using who? / What should we do? / Well you can’t be a pimp / And a prostitute too. It’s very aggressive, musically as well. And damn great. The very next song changes the mood drastically. You Don’t Know What Love Is (You Just Do as You’re Told) is a garage love ballad and maybe the finest track of The White Stripes’ sixth album. It’s not necessarily quiet. Conquest is the only cover but its level is as high as of almost everything here. Fans of old Jack and Meg will go delirious with joy about Little Cream Soda. 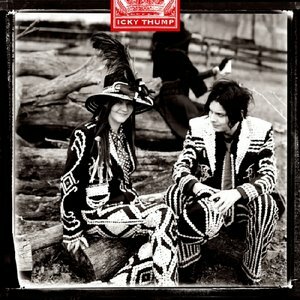 Icky Thump successfully blends influences and broadens the band’s palette. If only we could get their next album. Have you ever wondered if there is any connection between band’s name and music they play? Because in case of HEALTH it seems to be highly appropriate. Indeed, one has to be fit as a fiddle to play such demanding music (electronic noise rock to be specific). On the other hand, HEALTH play extra loud, aggressive and primal tracks for those not concerning about the hearing damage. The band are the musical equivalent of a mad surgeon that’s gonna cut your body into pieces while having the time of his life. In Death+ you can hear his scalpel. The main single Die Slow is an industrial disco that finds the right mix of guitars, drums and computer beats. This is a dance of those not scared to break some bones. Nice Girls quickly morphs into a tribal semi-chant. In Violet is a perfect closer leaving you wanting more. Jake Duzsik does a great job as the singer, he’s a half-present phantom whose voice sinisterly floats above the songs. Transmutating proteins. Internal nebula. The Atlantic Ridge drifting. The new, eighth studio album by Björk sounds like an ultimate science geek feast. Indeed it is as it comes with a series of apps to be played on your iPad that bring together knowledge and fun. 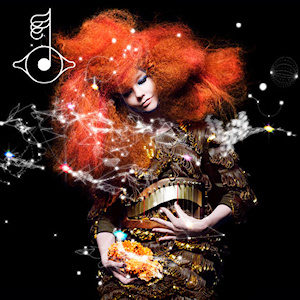 Musically, Biophilia is a sister of Björk’s three best records: Homogenic (1997), Vespertine (2001) and Medúlla (2004). Elements of each of these albums can be found here. What strikes the most is the frequent presence of silence. The singer and the instruments often stop and wait for a while before the song continues. However, it should not surprise as Biophilia is after all about space (of course, this is a huge simplification). Next, the Icelandic icon has built some extremely curious musical equipment to be used in making of this record: a gameleste, a pendulum harp. Even the Tesla coil served as an instrument (on Thunderbolt). Björk’s album would not be the same without a bunch of guests. This time the impressive set include Leila, Mark Bell, Sjón, Zeena Parkins and Matthew Herbert (among the others). Lyrics are great as ever, just take Virus: Like a virus needs a body / As soft tissue feeds on blood / Some day I’ll find you – one day I’m there (…) The perfect match – you and me / I adapt – contagious / You open up – say welcome. Only Björk could come up with something like this! It’s hard to name the best track but it probably is Mutual Core, a slow-building, mostly organ song with a potential of an earthquake. It evokes Purity Ring at the end. Moon is a beautiful, harp-driven ballad. Thunderbolt, on the other hand, is one of those dark and sinister tracks of Biophilia. It’s got a fantastic sharp beat. Cosmogony deals with various theories of the world’s origin. It’s an orchestral piece of work and Björk’s vocal is simply excellent. Hollow is strange and haunting as you would expect from a song about DNA replication. And of course there is Crystalline, a great drum and bass eccentricity. Solstice is not as good as the rest but bears some similarity with Sardaukar Levenbrech by Grimes from her first LP, Geidi Primes. The only misstep is dull Dark Matter. Shame for the title suggests more. To sum up, the Queen of Alternative has delivered a record that will give months of pleasure and meditation. I luv u, Bapsi. One week ago I had no idea about Chelsea Wolfe’s existence. Now, her second LP entitled Ἀποκάλυψις (read “apokalypsis”) seems a natural contender for the title of 2011 best record. It is beautiful, deeply moving and, but of course, dark. What else would you expect from a singer who used to play in “cathedrals, basements and old nuclear factories” (according to her website)? 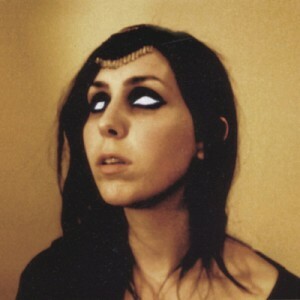 The album’s cover depicts Wolfe as a possessed priestess or witch. It’s an obvious choice since Ἀποκάλυψις opens with Primal // Carnal, 25 seconds of woman screaming and shrieking as if some supernatural force was trying to take over her body. Second track is more “traditional” – in Mer we can finally hear Chelsea singing with her sharp and haunting voice. As well as some spine-chilling drums. Tracks (Tall Bodies) is more quiet, an exceptional ballad on which the singer dreams that we could be two straight lines in a crooked world. Most often, Chelsea sounds like an early PJ Harvey. On Demons she channels Sonic Youth while The Wasteland may be a lost Zola Jesus track. However, those are just impressions for Wolfe’s approach is very unique. It’s unbelievable since it’s her only second release but she seems to be a fully grown and aware artist. Her magnum opus is surely the doom-heralding Movie Screen with simple warning of Don’t you ever cross that bridge in your mind again (it’s like a movie screen). This is how Broadcast would have sounded if they had been playing rock. Wolfe also uses analogue techniques. It’s best heard on To the Forest, Towards the Sea, a creepy ambient number ending with very sensible question: What’s happening to me? It’s like the artist was going through some demonic process throughout Ἀποκάλυψις. Rock Album of the Year. To blend electronic and organic into a state of balance is a triumph that probably only Broadcast could achieve. In other words, Tender Buttons rocks. Less analogue, more jarring this time – the third LP by the wizards of Warp finds them exploring new territories. The beats has become crude, even provoking but the whole album is surprisingly melodic and, horror of horrors, danceable. Black Cat is the best example of Broadcast’s new aesthetics: heavy and frigid but vibrant. It is also the best track here. America’s Boy and Michael A Grammar find the band in a similar mood. Those missing the old Broadcast will be satisfied with the opening I Found the F; it is when the band say goodbye to the past, ready to open a new chapter in their career. Arc of a Journey is a tender if dissonant sci-fi ballad. The most polished track and another standout is the instrumental Minus 3, also known as Evil Is Coming (I like the latter title best). Besides the omnipresent beats, the album has some great guitar moments: the title track is almost folk. In many songs live instruments play a major role. Tender Buttons confirms the status of Broadcast as the masters of electronica, left-field, sometimes cold and haunting but always hypnotic and full of emotions. If this is a sound of a glacier, then it must be melting. 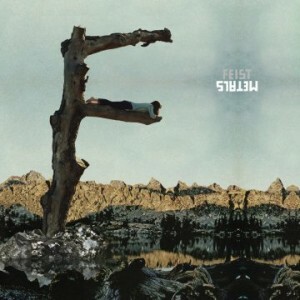 To tell the truth, 1234 is not my favourite song of The Reminder, an album that brought Feist into the stardom. That would be Sealion, Feist’s version of an old American folk song, once recorded by Nina Simone herself. There is no such powerful track on Metals and I doubt whether any single will achieve such success as the aforementioned 1234. It does not change the fact, however, that Metals is much better than her last LP. The Canadian singer-songwriter has crafted a charming folk and pop using simple tricks. The results are nevertheless stunning. Metals captivate the listener from the very beginning thanks to a strong opener The Bad in Each Other with tribal-like drums, guitar, brass and Feist’s very own, beautiful croon. Graveyard is soothing despite its title and ends just splendidly. How Come You Never Go There, the first single, is a peaceful brilliance just before the album’s loudest and most shaking A Commotion, a song that contains an unexpected male chorus and is weirdly… Chinese-oriented. The second half of Metals is more quiet but one definitely cannot say that this record is uneven. It was worth the wait. The idea of replacing industrial in favour of icy beats seemed to me like a wrong idea. The first listen of Conatus, the third album by Nika Roza Danilova aka Zola Jesus, has corroborated my assumption. Thank God I always listen to a record twice before writing a review! Conatus is stunning, a conscious step ahead in building Danilova’s musical identity. As suggested on the cover, Conatus is lighter in comparison to Stridulum II (my 4th favourite album of 2010) but heavy drums and synths are nevertheless present. If Stridulum was a score to the forthcoming apocalypse, this one is about the aftermath. Those who survived now strive for normal life and, surprisingly, even find comfort. Conatus contains two songs that come close to what can be named a “hit”: danceable Seekir and R&B-flavoured Shivers. 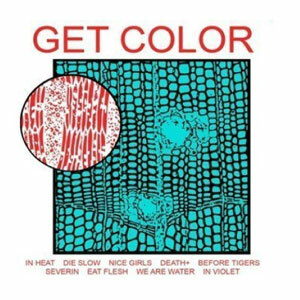 Do not panic goths for gloom is still here, like on the robotic darkwave of Vessel which bursts into a percussion madness or disturbing Hikikomori with lyrics about blisters on my hands. But Zola Jesus does not need words to invoke a feeling – just listen to her wailing on Ixode. Sorry for being such a sceptic.